This blog supports itself by participating in the Amazon Services LLC Associates Program, an affiliate advertising program designed to provide a means for us to earn fees by linking to Amazon.com and affiliated sites. This post contains affiliate links. All the diffuser terminology can be very confusing if you’re just getting into essential oils. Are humidifiers the same as essential oil diffusers? There are many different types of humidifiers and diffusers that all work a little differently. This guide will clear it all up so you know how they both work and which one you should get. In short, humidifiers are designed to increase the humidity and moisture of a room. The purpose of essential oil diffusers, on the other hand, is to spread essential oils throughout a room. 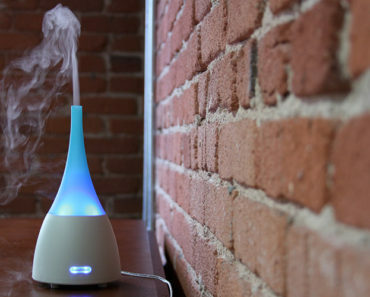 Some types of essential oil diffusers use mist to spread the essential oil particles so they can add some humidity to a room but no where near as much as a humidifier. Most oil diffusers add very little moisture to a room and you won’t notice a humidity difference. If you live in a dry climate or it’s the winter season, the dry air can cause some people many problems. Dry skin, nose bleeds, chapped lips and other pesky problems can crop up from dry air. There are many types of humidifiers but how they all generally work is by adding water vapor to a room. The water vapor increases humidity levels so the area is less dry. Humidifiers require bigger water tanks to use enough water to effectively raise the humidity level across an entire room or home. Typical room humidifiers hold a gallon (3 liters) of water while essential oil diffusers hold a maximum of 300ml or 500ml. To put this in perspective, a humidifier holds almost 3800ml versus the 500ml of an oil diffuser. The type of essential oil diffuser that uses water is called an ultrasonic diffuser. These diffusers use ultrasonic vibrations to break up the essential oils and spray the oil particles and water into a fine mist. The mist is sprayed into the air and then you can smell the heavenly essential oils. There is one type of diffuser called a nebulizing diffuser (aka nebulizer) that doesn’t use water at all. These diffusers just spray the essential oil particles directly into the air. Nebulizing diffusers are more expensive but they give you the strongest benefits of essential oils. Can You Put Essential Oils In Your Humidifier? It’s not a great idea to add essential oils to your humidifier. Humidifiers aren’t designed to effectively diffuse oils and won’t work very well for that purpose. 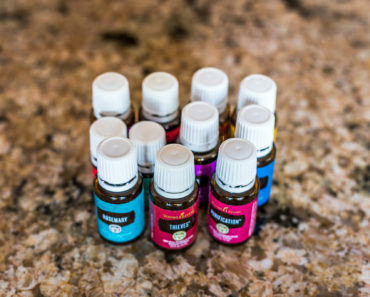 You typically add 6-15 drops of essential oil to a 300-500ml diffuser so you would have to put hundreds of drops for the much larger gallon tanks of humidifiers (which is really expensive and a waste of oils). If you need to increase the moisture of a room and you want to diffuse oils then your best bet is to just buy a humidifier and buy a diffuser. We have a whole guide on choosing diffusers if you want to learn more about the different types of diffusers and which one is best for you. There tons of ultrasonic diffusers to choose from and many of them work great. 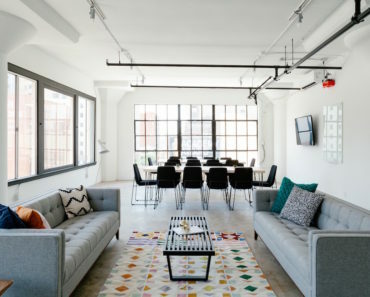 If you aren’t picky and don’t need any specific features than you can pick one that has a design that appeals you to the most. 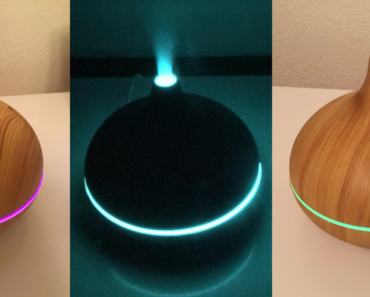 If you are on a budget then get an ultrasonic diffuser and if you are looking for the best quality then get a nebulizing diffuser. If you want it to run for more hours then get a 300 or 5ooml size diffuser as opposed to the 150ml size. The Anypro humidifier is a great option if you want a high quality machine that will run quietly. It’s great for a kid’s room or for use while sleeping. It can run 20 to 36 hours at a time and has low, medium and high mist settings to choose from. It has high quality materials to help prevent mold growth but just make sure you keep it clean to avoid any of mold issues. You’ve probably heard of Vicks cold medicine…well they came out with humidifiers too. The cool thing about their humidifier is that it has a medicine cup that allows you to use Vicks Vaposteam or Kaz Inhalent for a medicated vapor. If someone in your house is sick this can really help to have the medicated vapor instead of just plain water vapor. It can run for 12 hours and automatically shuts off. There are also dual purpose humidifiers like this one that are infrared heaters and humidifiers. There are many different types of humidifiers so just go with a well-rated and reliable basic humidifier if you are overwhelmed and don’t have any unique reasons for wanting one.